Does this thick voluptuous curls wig make you drool? 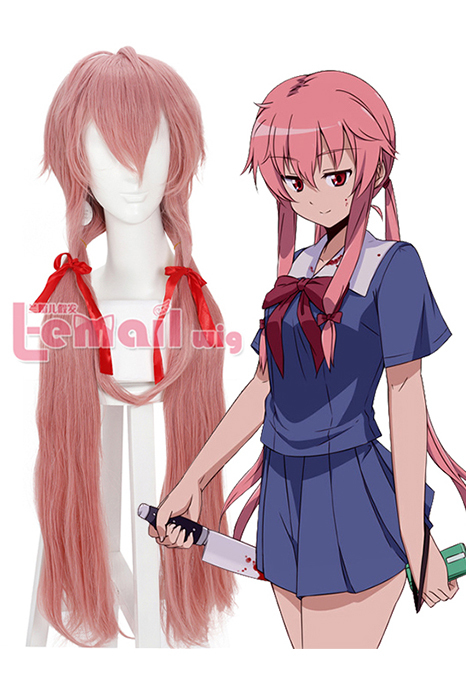 Future Dairy Gasai Yuno cosplay wig is pretty pink color. The color is striking. 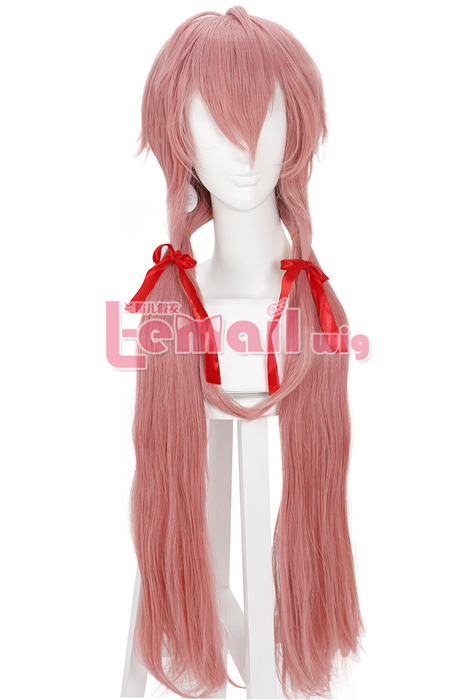 The wig features both silky & curly locks. 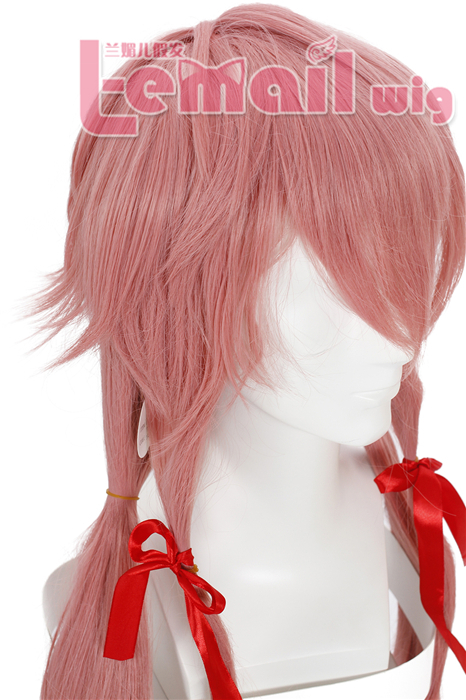 The ringlet curls add volume to the wig that gracefully swings at the back of your head in the form of the ribbons. 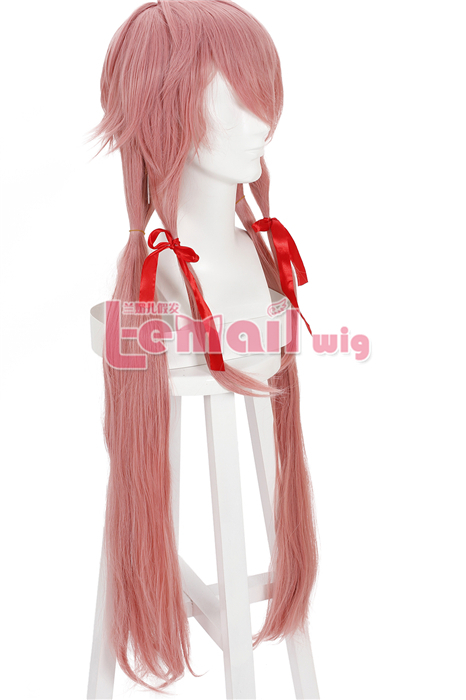 The wig can be recreated into short wig or be styled into other looks. 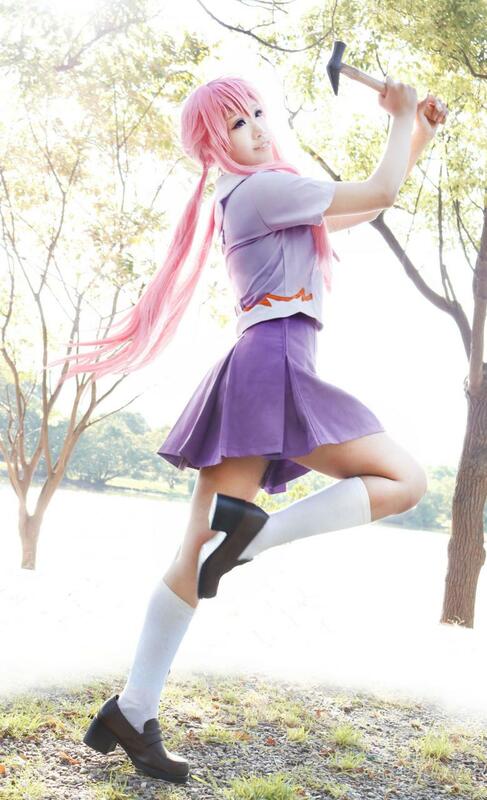 Very convenient design and amazing color make it a really popular choice to girls love fashion. The wig base boasts soft and silky tresses with bangs that should be trimmed prior to wearing. 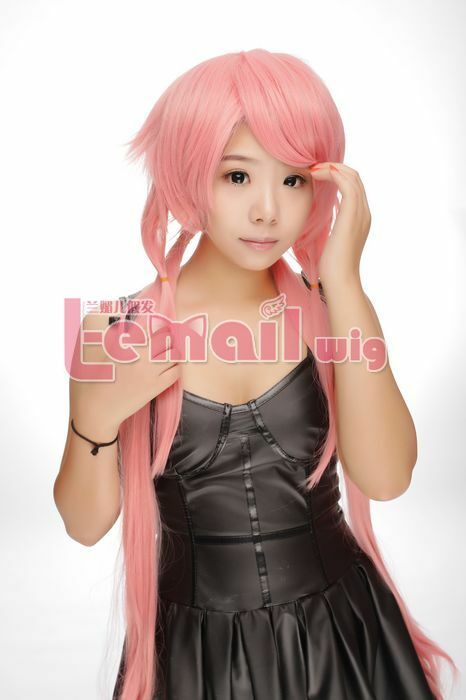 This entry was posted in Buy Cosplay Wigs, Fashion Wigs, Synthetic Lace Wig and tagged Gasai Yuno cosplay wig, long wigs, pink color wig, The Future Diary. 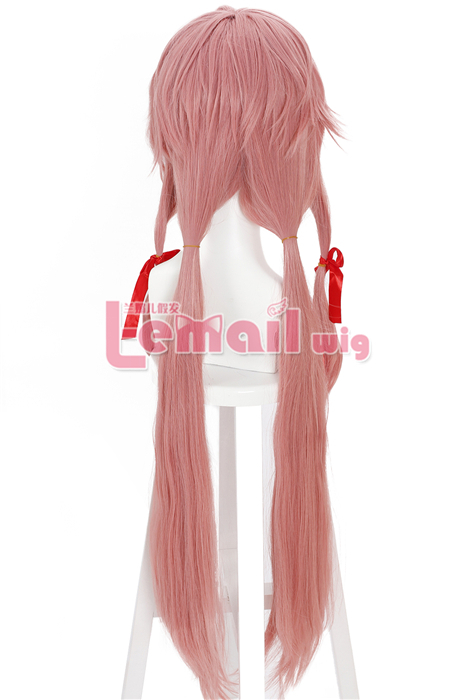 ← 90cm Flaxen Minami Kotori Cosplay Wig for Love Live!